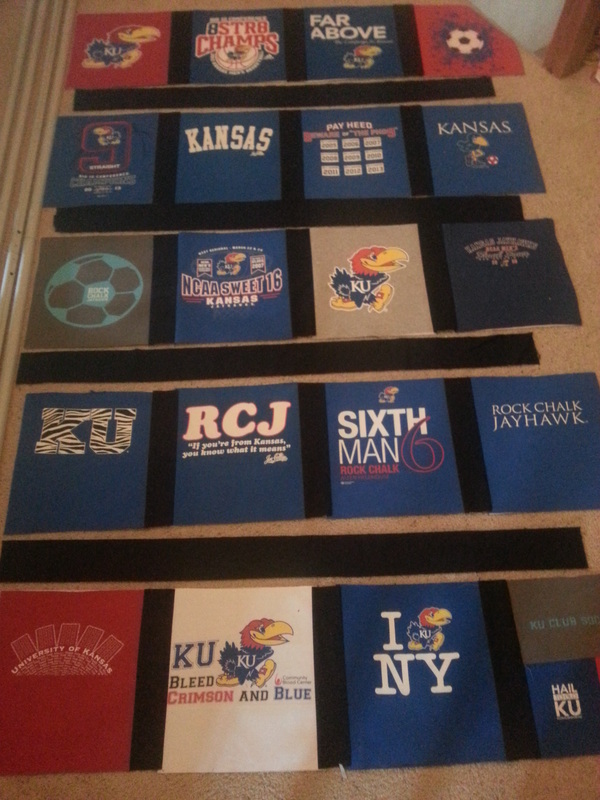 Earlier this year I showed you the layout I made for Amanda's tshirt quilt. Then around March or April I was able to do some of the cutting and interfacing and even got a lot done piecing the quilt top. I was hoping to get it finished entirely in time for when she visited me at Fourth of July but I just didn't quite make it. Anyways...here's some of the progress on the piecing. Earlier this year, I received a weird email at work from a manager I had never met, asking for some seemingly random information. 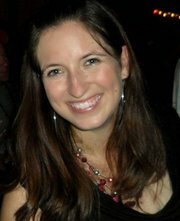 I followed up and eventually I found out that my managers had nominated me for a Society of Women Engineers (SWE) award for Distinguished New Woman Engineer (7 years or less experience). I didn't win the award but I was honored to be nominated. I got to attend the awards banquet and meet other women in the Space Coast area with great technical achievements. After I finished up the two quilts for Robin, it was on to a baby quilt for Stephanie. 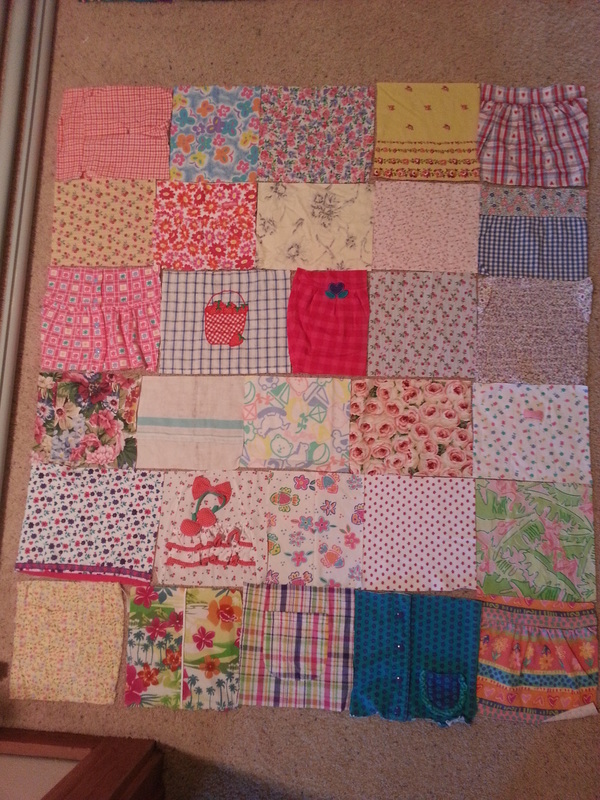 Stephanie has twins, one boy and one girl, and wanted to make one quilt with both of their clothes in it. I thought about the layout quite a bit and I decided to keep the shirts separate, "his and hers" style. By making the blanket wider than it is tall, both kids could lay on it next to each other on their side of the blanket (while they're still little of course. Here's to another cute kids blanket!! 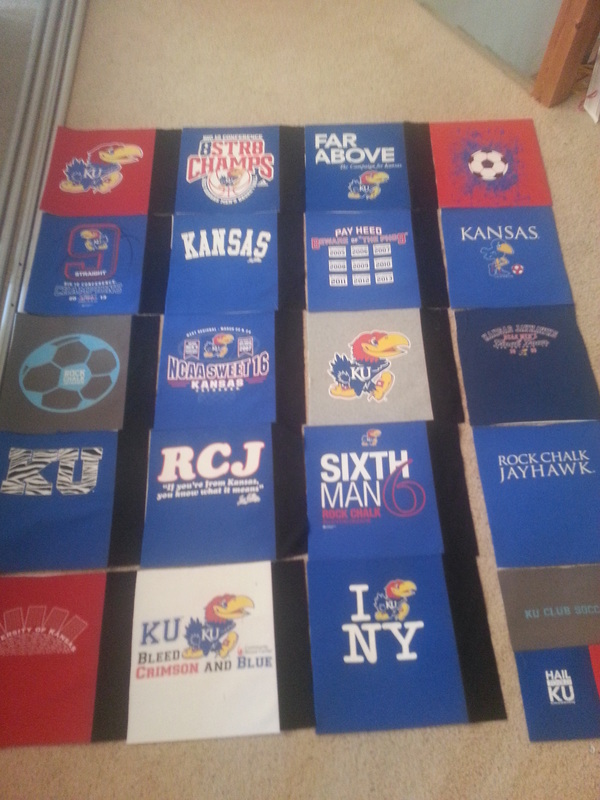 Last time I showed you Robin's quilt, I had finished cutting all the shirts and was working on interfacing them. 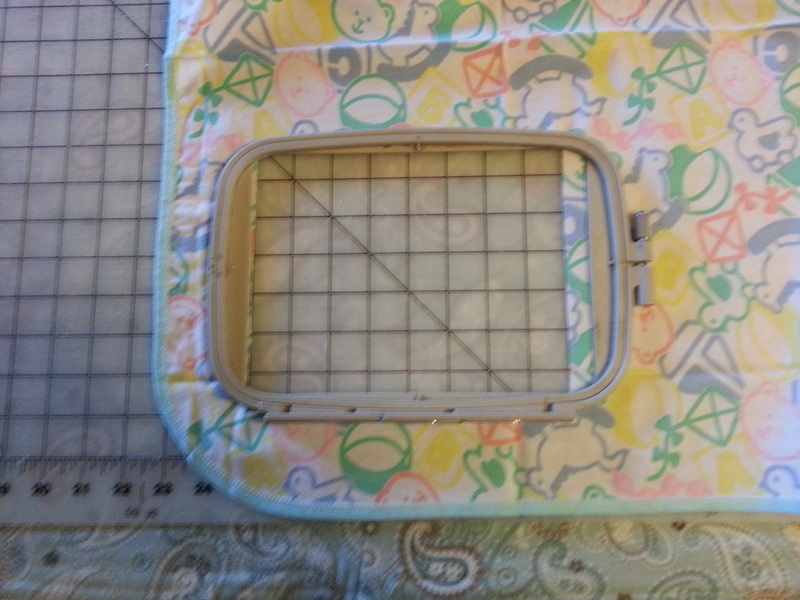 I had cut squares out of the baby blankie but not replaced them. 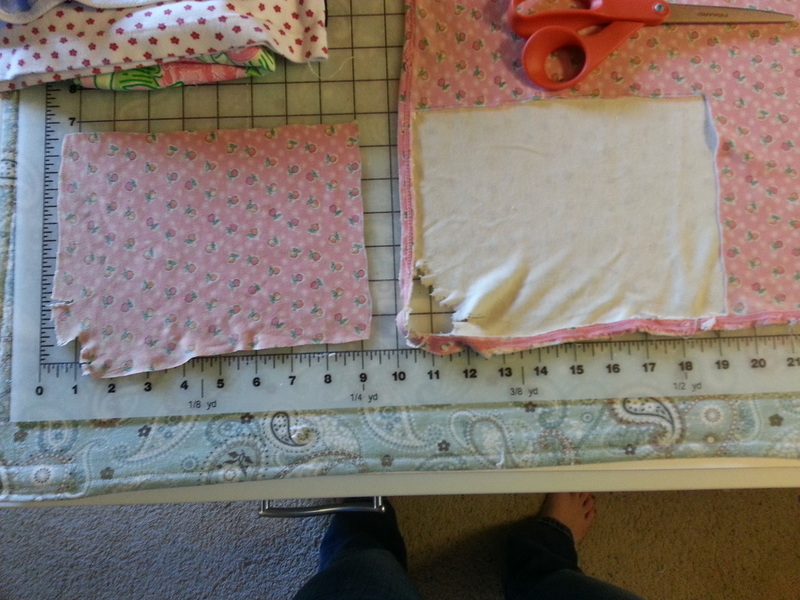 Really, I had done most of the hard parts and then the sewing and quilting goes pretty quick! Where Oh Where Did Ashley Go? Holy Cow! I haven't posted in three months!! And so much has happened since then, I can't believe I haven't gotten any of it posted on my blog. Well over the next couple of weeks I'm going to start posting some of my adventures that I meant to write about before. Some of them are a bit dated at this point but I'm sure you guys wouldn't mind seeing some pics i never shared and hearing what I've been up to in all this time with no blogging :) More to come soon!! And it looks like thanks to some Weebly changes my website banner and some other things don't really fit on the page quite right anymore...**sigh** always something to work on LOL.